Son of former Major League infielder Carlos "Café" Martinez, who played parts of seven seasons with the White Sox (1988-90), Indians (1991-93) and Angels (1995)...His father famously hit a fly ball while with the Cleveland Indians that bounced off Jose Canseco's head for a home run at Cleveland Municipal Stadium on May 26, 1992...His brother, Teodoro Martinez, played in the Rangers (2009-14) and Yankees (2015) minor league organizations...Has a son, Mathias, and daughter, Alana...Resides in La Guaira, Venezuela. Posted single-season highs in home runs (17), RBI (83), hits (163), runs (64), doubles (30), walks (49) and extra base hits (47)...Led the Cardinals in batting (.305) and tied for the team lead with 163 hits (Ozuna)...Finished season ranked 7th in the National League with a .305 batting average...Was the first Cardinals player to bat .300 and hit 30 doubles, 162 or more hits and 80 RBI in a season since Matt Holliday (2010)...Posted career highs with four hits and six RBI at CIN (4/12)...Tallied two hits in the 7th inning including a lead-off homer. Was first Cardinal since Red Schoendienst in 1953 to tally 6 RBI, 4 hits, 2 doubles and a home run in a single game...Batted .319 at home, 6th-highest average in the National League and the highest season by a Cardinals player at Busch Stadium since 2013 (Allen Craig .336 & Matt Carpenter .360 - 2013)...Ranked 2nd on the Cardinals with 83 RBI (Ozuna, 88)...Was clutch with runners in scoring position and 2 outs, batting .433 (29-67), ranking 5th in MLB, while his 29 hits were tops in MLB and 34 RBI were T-5th...Of his 83 RBI, 42 came with two outs, ranking 3rd in the National League (Story, COL, 57 & Yelich, MIL, 52)...Had 16 games with multiple hits & RBI in the same game, leading the Cardinals...His 20 hits vs. PIT were 2nd-most in MLB (Heyward, CHI, 22)...Batted .389 (37-95) in August ranking 3rd in the N.L. in both batting and hits (37)...Posted a nine-game hitting streak twice, one shy of his career high...Ranked T-4th in the National League with 15 three-hit games, most by a Cardinals player since Matt Carpenter (18) in 2013...His 14 three-hit games tied for NL lead & three 4-hit games were T2nd...Lifetime .325/.474/.469 in 8 career games as a designated hitter (12-for-32)...Recorded his first walk-off RBI vs. COL (8/2) with a two-RBI pinch single in 9th inning...Had career-bests of 8 HR and 21 RBI in June, his highest career monthly totals...Ranked T6th in the N.L. in HR (8) and T7th in RBI (21) in June...Homered in three straight games June 7-9 (4 HR) & had 2+ RBI in 3 straight (June 6-8)...Tallied 5 RBI vs. PHI (5/18), going 4-for-5 with a home run, joining Joe Hague (3), Albert Pujols (2) and Don Gutteridge as Cardinals with two games of 5 RBI in their first 159 career games...Reached base safely in 30 consecutive games from 8/30/17-4/1/18...Finished the season with a .408 career batting average (20-49) as a pinch-hitter, ranking 2nd all-time in MLB history (min. 50 PA) trailing only Kevin Seitzer (.411, 23-56). 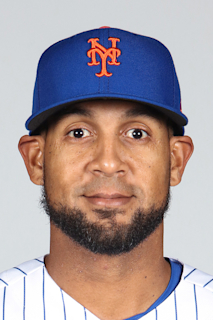 Played his first full season in the Major Leagues ... Ranked among National League rookies in home runs (14, 8th), RBI (46, T10th), runs scored (47, 8th) and walks (32, 8th) ... Batted .309, leading all MLB rookies with 300 or more plate appearances ... Named National League Rookie of the Month for September batting .345 (29-84) with 4 HR and 18 RBI ... Reached base safely in 27 straight games to end the regular season, a team high and the longest streak by a Cardinals rookie since Albert Pujols reached safely in 48 straight in 2001 ... Hit a career-high 14 home runs, at any level in his career, with St. Louis. Had 15 home runs total including one on rehab with Palm Beach (A) ... Led MLB and posted the highest single-season pinch-hit batting average (since 1974) in Cardinals history at .462 (12-26) and T6th in the National League with two PH home runs ... Hit pinch-hit home runs at PHI (6/21) off Joaquin Benoit and vs. COL (7/24) off Chris Rusin ... Of his 14 home runs, seven tied the game or gave the Cardinals the lead ... Had a career-high 10-game hit streak from 8/30-9/8, batting .484 (15-31, 3 HR, 8 RBI) during the stretch ... Recorded 2 RBI in consecutive games for the first time in his career (9/29-30) ... Tallied a pinch-hit single in the 6th inning off Aaron Wilkerson to break up a perfect game on the final day of the regular season vs. MIL (10/1) ... Batted .500 (4-8) with the bases loaded including his first career grand slam at CIN (8/6) off Homer Bailey during a season-high nine-run 4th inning of a 13-4 win. Was his first professional grand slam since 2007 with Bristol in the Appalachian League ... Belted two home runs in a game vs. MIL (6/13-Game 1) with a pair of solo blasts off Brent Suter (5th inning) and Neftali Feliz (8th inning). Was his first multi-home run game since 2007 with Bristol ... Hit two home runs in a game for the second time at SD (9/5) with a 1st inning shot off Travis Wood and a 7th inning shot off Buddy Baumann ... Hit his first MLB home run vs. TOR (4/25) off Joe Biagini. His late father Carlos, also hit his first MLB home run against the Blue Jays (5/27/1989 w/CWS). Made his Major League debut with St. Louis after spending the majority of the season between Omaha (AAA) and Memphis (AAA), combining to bat .278 (123-442) with 11 homers, 28 doubles and 60 RBI in 124 games between first base and outfield...Opened campaign in Omaha with a .298 average (42-141), three home runs, 18 RBI and .356 on-base pct. in 37 games...Designated for assignment by the Kansas City Royals (5/18); acquired by St. Louis from Kansas City in exchange for cash considerations and optioned to Memphis (5/24)...Played 87 games in Memphis and batted .268 (81-301) with eight homers, 18 doubles and 42 RBI...Recalled with pitchers Sam Tuivailala and Mike Mayers as part of St. Louis' September call ups (9/6)...After 887 affiliated minor league games, made his Major League debut in the seventh inning of St. Louis' 9-7 win at Pittsburgh on 9/6, grounding out to third base as a pinch hitter...Collected his first career Major League hit and RBI 9/8 vs. Milwaukee, recording an infield single off right-hander Ben Rowen to score Greg Garcia...Went 4-for-6 as a pinch hitter, logging a double and three singles; recorded a hit in his final four pinch at-bats...Six of his seven hits came off opposing left-handers (.500, 6-12)...Appeared defensively in four games in left field (two starts) and one contest at first base...Logged a five-game hitting streak (5-7, .714) from 9/19-26. Won the PCL batting title (.384) with Omaha (AAA) while being named a Triple-A All-Star at Designated Hitter by Baseball America in his first Triple-A season...his batting average set a modern era PCL record (surpassing Rick Short's .383 mark in 2005 for the New Orleans Zephyrs) and was also the circuit's highest since Gene Woodling batted .385 in 1948 for the San Francisco Seals (AAA)...his .461 on-base percentage was tied for the 12th-highest in the league's modern era...led the league in on-base pct., OPS (1.024) and had the third-best slugging pct. (.563)...collected 131 hits in 341 at-bats (396 plate appearances), playing primarily as a first baseman and outfielder...set career highs with 10 home runs, 25 doubles and 60 RBI in 98 games... recorded 43 multiple-hit games, including four-hit efforts on three occurrences...put together separate hitting streaks of 11, 14 and 14-games...went hitless in just 23 of 98 games and failed to get a hit over a three-game stretch only once... hit .412 (40-97) with runners in scoring position...batted .388 (33-85) in May, .402 (35-87) in July and .382 (42-110) in August...missed most of the month of June while on the sevenday disabled list; hit .333 (5-15) in four rehab games for the Arizona League Royals (R)...named PCL Player of the Week for the August 17-24 Period, batting .552 (16-29) with three doubles, three homers and nine runs scored...played for Tiburones de La Guaira in the Venezuelan Winter League following the season, batting .317 with 17 doubles, four triples and three homers in 60 games...added to the Royals 40-man roster on 11/6...named an All-Star left fielder and Most Valuable Player in the 2016 Caribbean Series in Santo Domingo, Dominican Republic. Opened year playing 28 games with the Rockford Aviators of the independent Frontier League, hitting .337 (35-104) with three home runs and 14 RBI; led the Aviators in batting average, stolen bases, and slugging percentage at the time of signing with Atlanta (6/20)...assigned to Lynchburg (AA) and hit .319 (82-257) with four home runs and 34 RBI in final 66 games to end the season; would have led the Carolina League in average at the conclusion of the season, but did not qualify. Named a Southern League Mid-Season All Star with Mississippi (AA) in the Braves organization...hit .285 (123- 431) with six home runs, 19 doubles and 39 RBI in 123 games. Played entire season with Birmingham (AA), batting .248 (108-436) with five HRs, 15 doubles and 42 RBI in 114 games...entered season ranked as having the "Best Outfield Arm" in the White Sox organization by Baseball America. Split the season between Birmingham (AA) and WinstonSalem (A+), hitting .307 (158-515) with six homers, 26 doubles, four triples, and 45 RBI in 133 games...finished 2nd in the White Sox minor league organization with 158 hits (Tyler Kuhn, 168) and 8th in average...opened season hitting .314 (99-315) in 80 contests with Winston-Salem and was named a Carolina League Mid-Season All Star...punished opposing left-handers with a .400 average (44-110)...promoted to Birmingham (7/5) and hit .295 (59-200) in final 59 games to end the season. Became the first player to return to professional baseball after meniscus transplant...combined to hit .256 (66-258) with six home runs and 29 RBI in 67 games between Bristol (R) and Winston-Salem (A+). Missed the entire season due to a right knee injury... had a meniscus transplant operation performed by Chicago White Sox team physicians Dr. Brian Cole & Dr. Charles Bush-Joseph. Batted .306 (44-144) with 18 RBI in 39 games with Kannapolis (A)...missed the majority of the season after suffering a serious knee right injury that resulted in the loss of his entire lateral meniscus. Hit .282 (69-245) with seven home runs, 11 doubles and 37 RBI in 65 games for Rookie-level Bristol...finished 5th in the Appalachian League in total bases (107)...concluded the season rated as the No. 4 prospect in the White Sox organization and as possessing the "Best Outfield Arm" by Baseball America; also rated by the same publication as the No. 12 prospect in the Appalachian League at the end of the season. Made his professional debut with the Orioles/White Sox in the Venezuelan Summer League, hitting .278 (44-158) with four homers and 30 RBI in 54 games. November 18, 2018 OF Jose Martinez assigned to Tiburones de La Guaira. June 18, 2018 St. Louis Cardinals activated OF Jose Martinez from the paternity list. June 15, 2018 St. Louis Cardinals placed 1B Jose Martinez on the paternity list. November 2, 2017 OF Jose Martinez assigned to Tiburones de La Guaira. July 14, 2017 St. Louis Cardinals recalled LF Jose Martinez from Memphis Redbirds. July 7, 2017 St. Louis Cardinals optioned 1B Jose Martinez to Memphis Redbirds. May 29, 2017 Jose Martinez roster status changed by St. Louis Cardinals. May 26, 2017 St. Louis Cardinals sent OF Jose Martinez on a rehab assignment to Palm Beach Cardinals. May 7, 2017 St. Louis Cardinals placed 1B Jose Martinez on the 10-day disabled list. Left groin injury. September 6, 2016 St. Louis Cardinals recalled 1B Jose Martinez from Memphis Redbirds. May 25, 2016 Kansas City Royals traded LF Jose Martinez to St. Louis Cardinals for cash. May 25, 2016 St. Louis Cardinals optioned LF Jose Martinez to Memphis Redbirds. May 18, 2016 Kansas City Royals designated LF Jose Martinez for assignment. March 14, 2016 Kansas City Royals optioned LF Jose Martinez to Omaha Storm Chasers. January 30, 2016 OF Jose Martinez assigned to Venezuela. November 6, 2015 Kansas City Royals selected the contract of Jose Martinez from Omaha Storm Chasers. September 20, 2015 OF Jose Martinez assigned to Tiburones de La Guaira. July 4, 2015 Omaha Storm Chasers activated OF Jose Martinez from the 7-day disabled list. June 29, 2015 Omaha Storm Chasers sent OF Jose Martinez on a rehab assignment to AZL Royals. June 6, 2015 Omaha Storm Chasers placed OF Jose Martinez on the 7-day disabled list retroactive to June 5, 2015. April 9, 2015 OF Jose Martinez assigned to Omaha Storm Chasers. January 28, 2015 Kansas City Royals signed free agent LF Jose Martinez to a minor league contract. January 28, 2015 OF Jose Martinez assigned to Northwest Arkansas Naturals. October 9, 2014 OF Jose Martinez assigned to Tiburones de La Guaira. June 21, 2014 Jose Martinez assigned to Lynchburg Hillcats. June 20, 2014 Atlanta Braves signed free agent OF Jose Martinez to a minor league contract. November 4, 2013 OF Jose Martinez elected free agency. October 10, 2013 RF Jose Martinez assigned to Tiburones de La Guaira. April 2, 2013 OF Jose Martinez assigned to Mississippi Braves. March 23, 2013 RF Jose Martinez assigned to Atlanta Braves. November 2, 2012 RF Jose Martinez elected free agency. March 10, 2012 RF Jose Martinez assigned to Chicago White Sox. July 5, 2011 RF Jose Martinez assigned to Birmingham Barons from Winston-Salem Dash. March 7, 2011 RF Jose Martinez assigned to Chicago White Sox. October 8, 2010 RF Jose Martinez assigned to Tiburones de La Guaira. June 29, 2010 Jose Martinez assigned to Winston-Salem Dash from Bristol White Sox. September 9, 2009 Jose Martinez assigned to Bristol White Sox from Kannapolis Intimidators.